Malaysian Influencer Dior Yaw Is Officially Off The Market! Here’s The First Look At Her Big Day. 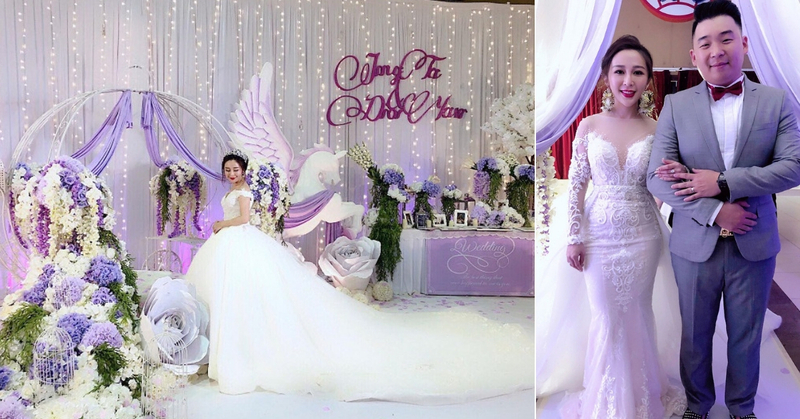 17th October 2018 seems just like an ordinary hump day to most of us but love was definitely in the air for Malaysian influencer and entrepreneur, Dior Yaw as she embarks on the next chapter of her life with her soulmate, Jing Da. Yesterday, Dior Yaw ties the knot with her long time beau at her hometown Yong Peng, Johor. This was not without the presence of her family and friends who took the time to celebrate love and life with the newlyweds. Days prior to the big day itself, Dior has been dropping more teasers by sharing some of her beautifully shot pre-wedding photos on her Instagram account. Just look at these pictures! This is definitely #weddinggoals, don’t you think? Of course, these shots were taken in the City of Love, Paris. We don’t know about you but Paris seems to have this whimsical, je ne sais quoi factor that makes pre-wedding photoshoot looks breathtakingly B-E-A-U-T-I-F-U-L! Back to the big day itself. The glowing and obviously in-love bride and groom welcomed their guests in a beautifully decorated banquet. I mean, look at the lilac fairy tale-themed set up, luscious floral and carriage! If this is not a cutout from a Disney happily ever after tale, I don’t know what is! Grand, isn’t it? We also heard that a famous chef was specifically flown in from China just to prepare the banquet for Dior and Jing Da’s special day. A wedding is also another good excuse to gather your close friends to celebrate this milestone. This is no different with Dior as friends traveled all the way to Johor to show their love and support for her. Here’s to wishing Dior and Jing Da a blissful marriage and a lifetime of happiness! We can’t wait to see little Dior and Jing Da soon!